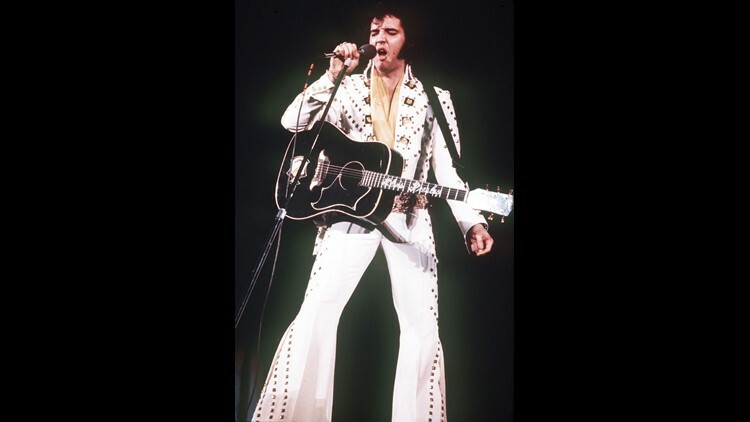 Elvis Presley performs on stage in 1973. Elvis Presley, Babe Ruth and Justice Antonin Scalia are among the list of seven people named by President Donald Trump to receive the Presidential Medal of Freedom, the nation's highest civilian honor. Also included are retiring Sen. Orrin Hatch, R-Utah; former Dallas Cowboys quarterback Roger Staubach; Pro Football Hall of Famer, philanthropist and Minnesota Supreme Court Judge Alan Page; philanthropist Miriam Adelson, wife of casino magnate and major Republican donor Sheldon Adelson. Presley, the rock and roll legend from Tupelo, Miss., died in 1977 at the age of 42; Baseball giant Ruth was 53 when he died in 1948. Scalia, who served on the Supreme Court for 30 years, died in 2016 at the age of 79. The awards will be presented Nov. 16. The honor, which is not necessarily given every year, can be bestowed by the president to individuals deemed to have made especially meritorious contributions to the security or national interests of the United States, to world peace, or to cultural or other significant public or private endeavors. The Medal of Freedom was established by President Harry Truman in 1945 and greatly expanded by President John F. Kennedy, adding the distinctive medal of a golden star with white enamel against a red enamel pentagon behind it. It is attached to a blue sash worn around the neck. The Medal of Freedom can be awarded posthumously and to non-Americans. It can also bestowed more than once. Gen. Colin Powell has received two such awards, the second with distinction.